SPRING BRANCH, Texas -- If you cross the Guadalupe River on Highway 281, you've gone too far when seeking out River Crossing Club, a semi-private course located just north of San Antonio. 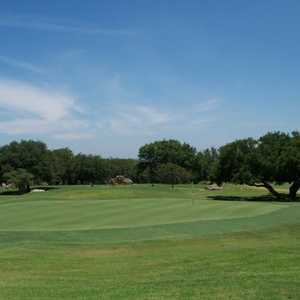 North of San Antonio, River Crossing Club is a top semi-private play with excellent conditions. River Crossing is an 18-hole private course known for its serene setting, panoramic views, and outstanding, lightning fast, tiff-eagle greens. The layout is fun because of the varied combination of holes. With a good mixture of short and long holes, as well as some blind tee shots, this track offers a complete golf experience and the opportunity to go low because of the wide fairways and large greens. 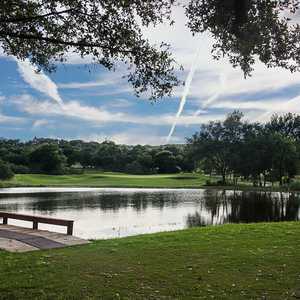 Taking on a scenic and serene Hill Country setting about 30 minutes north of the city center, River Crossing offers those who make the drive a private-worthy experience at a price point comparable to many of the area's middle-tier courses closer to the Alamo. While the setting is no doubt unique, it's the conditions -- highlighted by large, smooth greens -- that will have your group talking afterwards. Superintendent Paul Lane has manned the post at River Crossing since before the club opened in 2001, and his job appears to be quite safe, thanks to stellar playing conditions highlighted by tremendous greens all year round. In the winter time, when most area courses over-seed their greens with a cooler-weather grass, Lane treats the course's TifEagle Bermuda greens with a weekly pigment product called "Foursome" that gives the grass a natural color, and Lane also said it helps keep the grass canopy warmer. The result is a consistent, smooth surface with no fall or spring transition period. Designed by Larry Hawkins, River Crossing Club rolls gently up and down through wooded, quiet terrain. While this course is part of a 900-unit development, you wouldn't really think it while on the course; playing corridors are wide and framed with trees, with just the occasional house peeking out. The course is highlighted by a collection of four unique par 3s, which begin with an island green second hole (rest assured, it's a large putting surface to accommodate early-round swings). It's the next par 3 that is toughest: The eighth is a long shot up to 200 yards to an elevated green guarded on the left by a series of bunkers. The prettiest, however, is the 15th, complete with a bridge, fountain and small pond in front of the green. Back-to-back short par 4s -- No. 4 and No. 5 -- make for ample birdie opportunities early on. You can't accuse Hawkins of playing favorites, either: The fourth is a slight dogleg left, while the fifth curls a little right. The rest of the standout holes at River Crossing are those that come on the property's higher ground and afford natural, long views of the surrounding Hill Country. Both the eighth and 17th holes are similar-looking par 5s off the tee that start from an elevated perch and slope downhill and dogleg to the right. The penultimate, however, has a view of the Twin Sisters mountains in the distance, plus a green a little better protected to make well-played approaches that more rewarding. Fantastic greens at River Crossing Club highlight what makes for a pleasant round of golf in the scenic Texas Hill Country. With a fantastic practice area and range balls included with your round, a day spent here is a very good private club-worthy experience, especially considering rates here are between $45-$70. Minutes north of the TPC San Antonio on Highway 281, River Crossing is a much more affordable and player-friendly facility, while still offering enough member-worthy touches to make anyone making the loop feel like a high-roller. The experience here is also a touch more upscale compared to its neighbor just north, Vaaler Creek Golf Club. 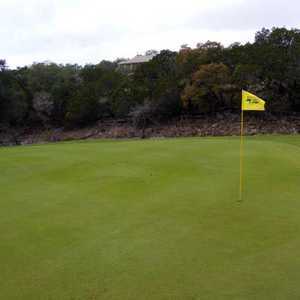 As of February 2013, GolfNow.com user ratings put River Crossing Club in the Top 10 of golf courses on GolfNow between San Antonio and Austin.